The Salesforce Summer ‘18 Release is Here! If you haven’t heard Salesforce announced their Summer ‘18 Release, and we are loving the new features! The Summer ‘18 release delivers more personalized and integrated customer journeys while enabling your team to work smarter with new levels of data insight across your org. 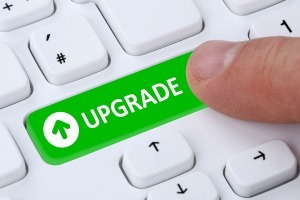 With 3 new releases a year, Salesforce is consistently trying to upgrade Salesforce to better work for your company’s needs. And here at Roghnu, we are always up-to-date on the latest and greatest features Salesforce has to offer! You have never really been able to customize the look and feel of Salesforce, however, Summer ‘18 is the end of the bland Orgs! You now have the ability to completely customize the colors of your Lightning Application! The Customize Global Search function can now be customized to show just the objects you want to search for by using the drop-down box beside the search field. Do you use HTML email templates instead of plain text? Well, here’s a new feature just for you! You can now add HTML and attachments to emails! A particularly nice addition for those who love to stay organized, you can now create subfolders for reports and dashboards with a maximum of 3 levels. It would appear there has been a big focus on UI and organization in the Summer ’18 Release! Tasks can also be viewed using the Kanban. If you’ve got a lot on your plate, this is super helpful for giving a visual representation of where you’re at with your workload. Did you just create a shiny new dashboard and want to share it with your team? No problem! Now you can subscribe others to your dashboard and make sure they get up to date information at the right time. These are just a few highlights of the Summer ‘18 Release we think will help your company go further. Do you want to learn more? Download the full release notes here! Are you not quite sure how to use all these new features to benefit your company? No worries, Roghnu’s team of Salesforce consultants can help! Give us a call at 844.764.4681 or email us at info@roghnu.com to get help today!